There’s a good chance you haven’t been in a haunted library. Waynesboro Public Library is setting out to remedy that. Saturday, Oct. 20 from 6:00-9:30 p.m. is when everyone is encouraged to visit to get a spooky new take on an old haunt for a suggested donation of $1. On one side of the library, a walk through the eerie rows of shelves will keep everyone on their toes. 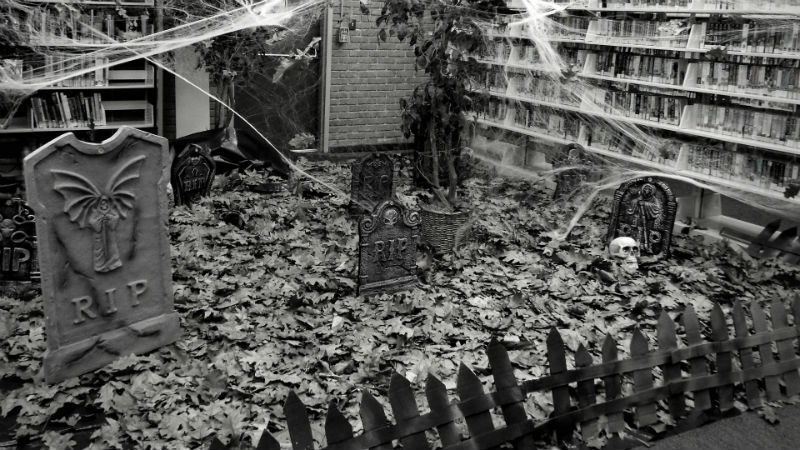 On the “scare-o-meter,” library organizers rate it spooky, or 5- 6 on a scale of 1-10. The walk through takes five to seven minutes with the last group allowed in at 9:10 p.m.
“We are looking forward to another year hosting this event. We have amped up the scare factor a little this year, the Haunted Library will definitely not disappoint!” said Elzena Anderson, a coordinator for the event. All attendees also get treats and free crafts for children will be set up on the other side of the library for any not wanting to take a walk on the spooky side. Library staff and volunteers and have been instrumental in helping to make such a large event possible. Proceeds from the Haunted Library will support the Friends of the Library, which in turn helps fund library programs and other needs.